Come see Bullseye LIVE in Los Angeles, Boston, Brooklyn, Manhattan, Philadelphia and Washington DC next month! Live interviews, comedy, music and more. Get your tickets now, they're going fast. Check out BullseyeTour.com for tickets. Brad Bird started out in animation early, being recognized and mentored early on by Milt Kahl, one of Disney's legendary animators. His career includes eight seasons of The Simpsons, the animated films The Incredibles and Ratatouille, the big budget action film Mission Impossible: Ghost Protocol, and his animated feature debut, 1999's The Iron Giant. The Iron Giant has just been remastered and re-released with several new scenes as a Signature Edition. It's available now on your favorite online video service, and will be out on DVD and Blu-Ray next year. 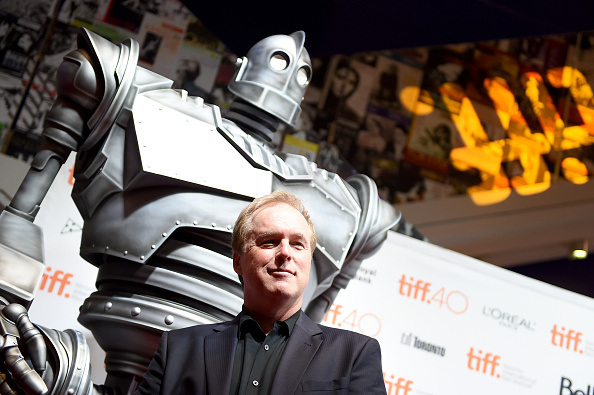 Bird talks to us about creating an atypical animated feature film in The Iron Giant, the reward of following your instincts when it comes to making movies, and how he helped create the look and feel of The Simpsons as an executive consultant on the show for eight seasons. If you liked this, let someone know! Click here to share this interview. The Isley Brothers' first hit on their debut album was 'Shout', that classic call-and-response rock song. It was 1959 and Ernie Isley was seven years old. In the 1960s, they had 'Twist and Shout' and a run with Motown. Jimi Hendrix made his first recordings with the band and lived in a spare room at their mom's house. In 1969, they reintroduced themselves to the world, with little brother Ernie on bass. The song was 'It's Your Thing'. The band continued to reinvent their sound and create hits through the 70s and into the 80s, songs like 'Who's That Lady' with Ernie's now-classic guitar riffs, 'Fight the Power', and 'Between the Sheets'. A new 23-disc box set of the band's work is called The Isley Brothers: The RCA Victor and T-Neck Album Masters (1959-1983). It's available now. Isley joins us to talk about playing his first gig alongside his brothers (filling in on drums for Martha and the Vandellas), being one of the only bands to actually play live on Soul Train, the band's evolution through the years, and his memories of the group's friend and sometime housemate Jimi Hendrix. 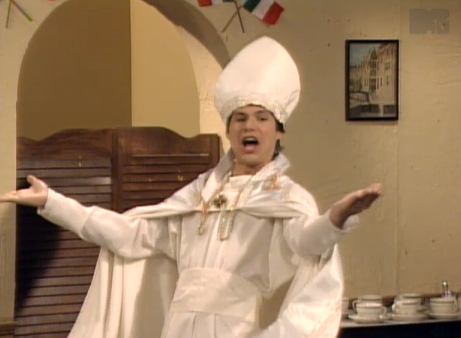 What is Jesse reminded of when the Pope comes to visit? Why, this sketch, of course. Another great interview. 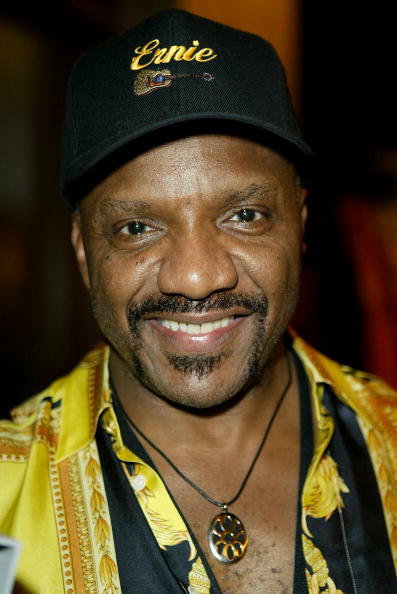 Nice to hear Ernie Isley and you mix it up. I really learned a lot and appreciate your efforts. Your recent interview with Bill Withers was also really great. If you are reading this comment and have not heard Jesse Thorn's Bill Withers interview, search it and listen. Keep up the good work Jesse Thorn. It's a generational thing: With the Papal-visit set up, for the first few seconds of the skit, I thought I was going to hear Fr. Guido Sarducci, and was briefly disappointed that I was not. But once the skit going, I found myself laughing out loud as I stood in the kitchen chopping celery. I don't know if I've ever talked to another soul who watched or remembered watching The State. I sometimes think the whole memory is something I created (in which case I would be a comedic genius!). I was glad to be reminded of the show, and to have someone confirm to me that it was really a thing. I too loved "Da Pope is Coming", but my personal favorite was "The Barry Lutz Show" about monkey torture. I can still make myself laugh out loud just by thinking of it. Thanks for another great show.